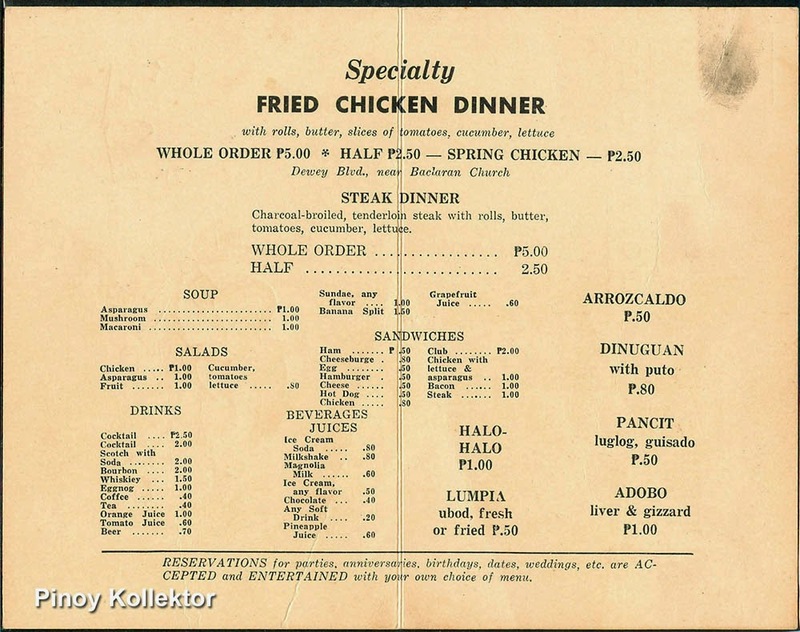 While attending the auction of Bayanihan Collectors Club, I came across these old postcards of Max's Fried Chicken Restaurant being sold by one of the antiques dealers. It reminded me of the days when my dad would celebrate his birthday and would take us there to eat at the Sct. Tuazon, QC branch. I could finish a spring chicken meal and would order an extra bread. The crispy chicken skin is so delicious, that would ask my mom's chicken skin. I like it with Jufran or Mafran banana ketchup and so does everyone else in the family. It was always a treat when eating at Max's back then. 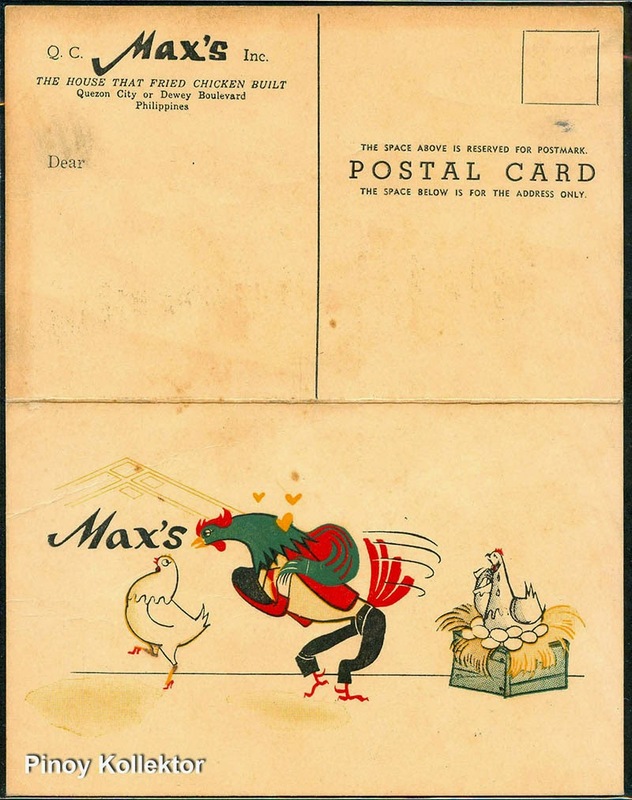 1960's Max's old postal card. 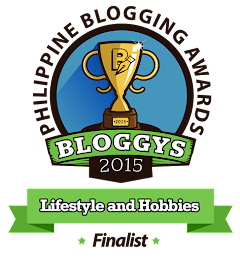 They have only two branches in Quezon City and Dewey Blvd. Max's Restaurant's beginnings started in 1945, after World War II. Maximo Gimenez, a Stanford - educated teacher, befriended the American occupation troops stationed at Quezon City. Because of this friendship, the soldiers regularly visited Maximo's nearby home for a drink or two. Later on, the troops insisted that they pay for their drinks. This prompted Maximo to open a cafe, where the troops could enjoy food and drinks. 1960's Max's old postal card menu. Imagine a whole chicken meal of 6.00 pesos only. The cafe initially served chicken, steak and drinks. Maximo's niece, Ruby, who managed the kitchen, created a special recipe for chicken that became an instant favorite for the GIs. Soon, the Filipino public heard about the delicious chicken-tender, juicy and crispy-and they came too! Max's Restaurant was born. 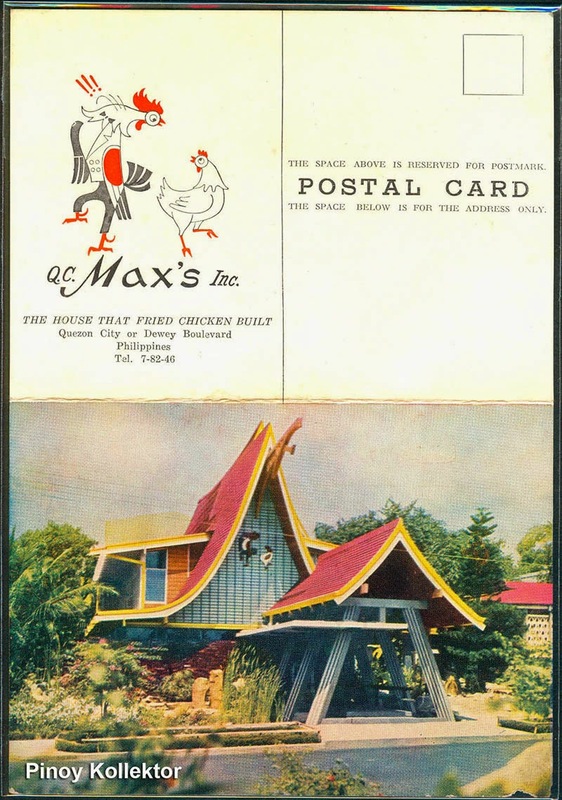 Over the years, Max's Restaurant's popularity grew and it became known as "the house that fried chicken built." 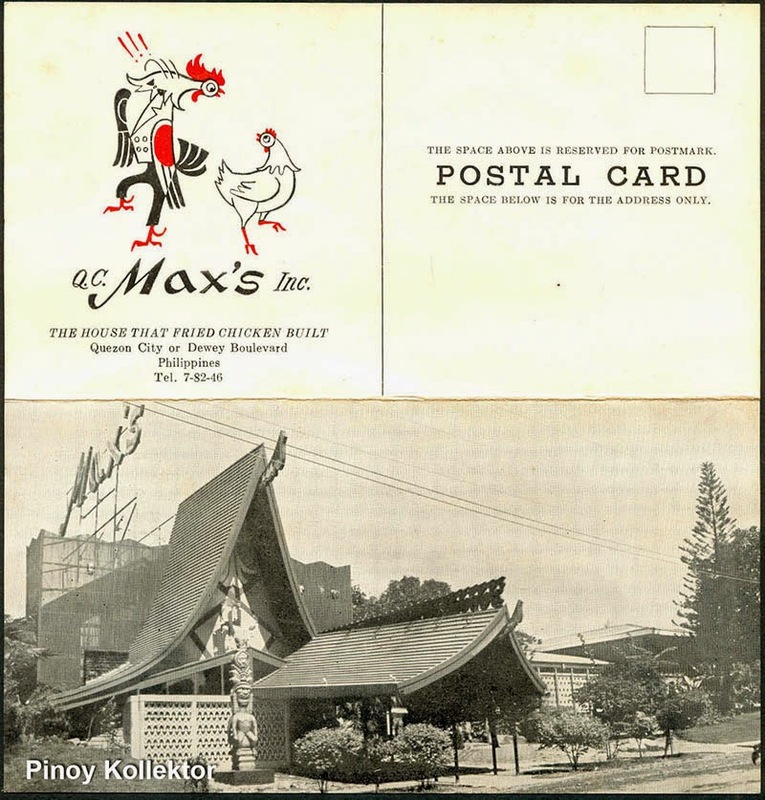 Max's Restaurant has established itself as a household name in the Philippines, an institution, and a proud Filipino tradition. The second and third generations of the family continue to zealously uphold the standards and traditions set by Maximo and Ruby for all Max's Restaurants. 1960's Max's old postal card menu. Imagine a whole chicken meal of 5.00 pesos only. 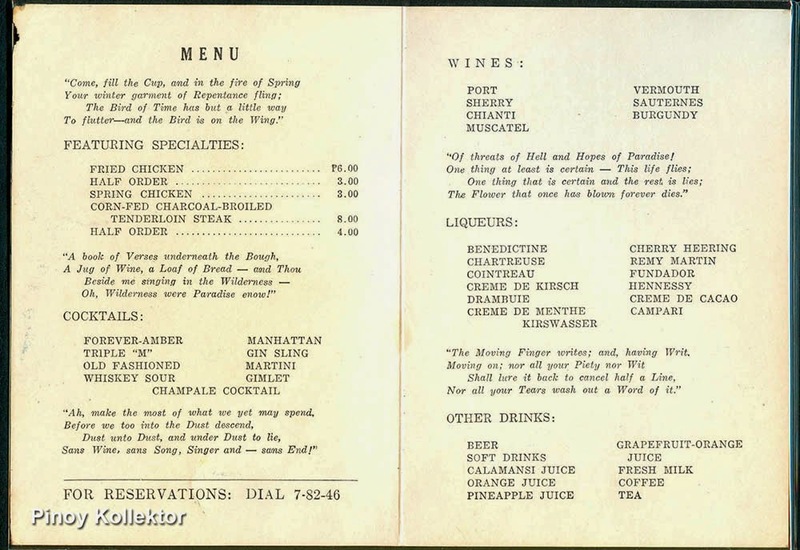 1960's Max's old postal card w/ menu.